First in a storming new series by Beast Quest hero Adam Blade. Battles, baddies and big fun! Welcome to Hero Academy: a top-secret school for superheroes. What’s on the timetable? Not just maths and PE! Join Jack and your other new classmates at this seriously cool school, where fighting evil is the way to get top marks. Have you been paying attention in class? You’re going to need your new skills – like, right now! A portal from the sinister underworld of Noxx has opened up beneath the school. The time for sitting around is over. Now it’s time for action! 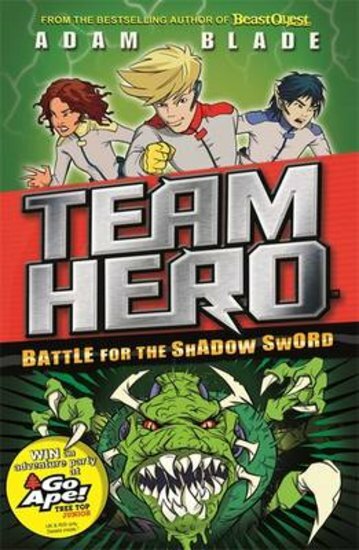 Team Hero needs your powers. The next invasion is upon us! Battles, monsters, heroes: great for kids who love action!